Colette Lemarier, our Director of HR, with her son AJ and mother Marilyn. Walking in the Easterseals event has been an annual tradition for the family for close to 20 years! 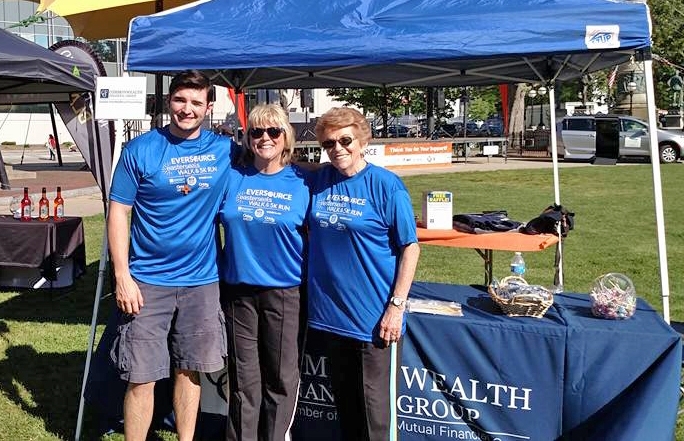 Commonwealth Financial Group was proud to sponsor and participate in the Eversource Walk & 5K Run for Easterseals NH on Thursday, June 1st in Manchester, NH! This annual event is a fundraiser for Easterseals NH, a leader in social services for people with disabilities and special needs throughout New Hampshire, Maine and Vermont. 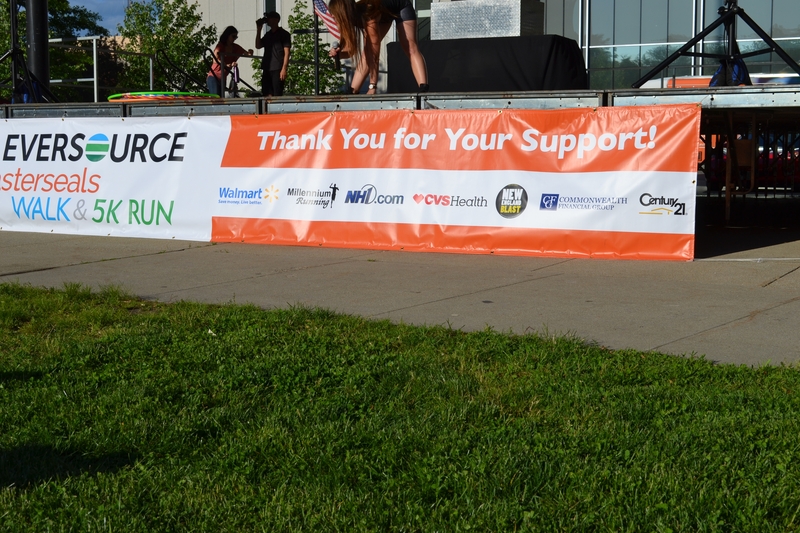 CFG staff and advisors hosted an informational table at the start/finish line in Veteran’s Memorial Park, held a raffle drawing and took part in the Walk & Run that included over 2,500 participants. Donations will continue to be accepted into August, with the total raised projected to be over $240,000. Services provided by Easterseals NH include: autism services, inclusive child care and early intervention, special education, medical rehabilitation, camping and recreation, vocational services, senior services, substance abuse services, adult day programs, community based services, individual service options, transportation services, residential service options, dental services and veteran services. Commonwealth Financial Group is proud to support individuals with disabilities and their families throughout the year through our SpecialCare planning team. We have advisors who are certified and specialize in financial planning for those with special needs. If you would like to learn more about our SpecialCare program, please reach out here. Check out some images from the event below. We had a blast! 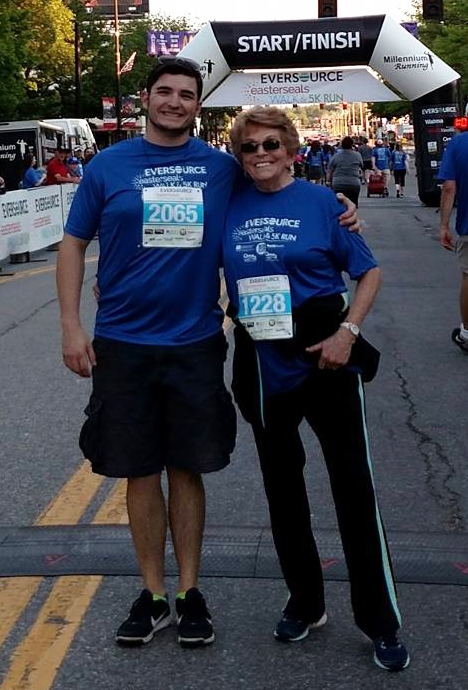 AJ and Marilyn at the finish line. 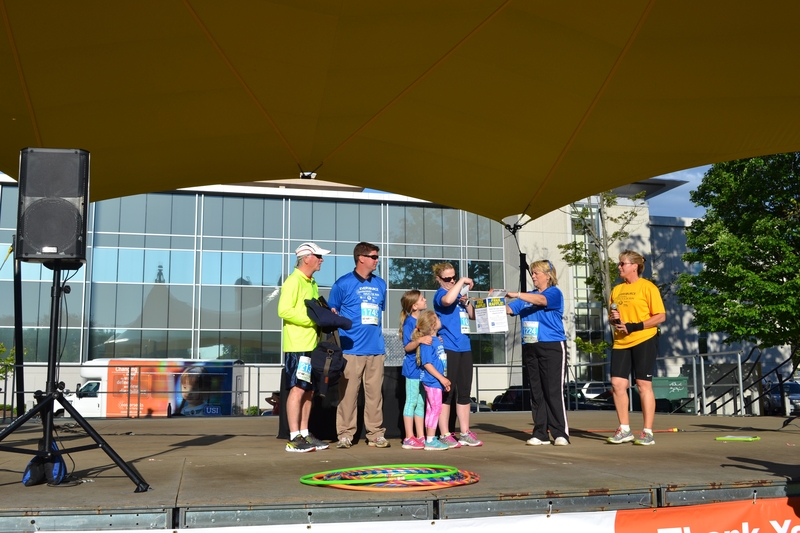 The CFG team presenting the winning raffle prize. From left to right: TJ Shaughnessy, Jordan Brammer, Mia Brissette, Anna Brissette, Christina Brissette, Colette Lemarier and Easterseals NH Director of Events and Corporate Relations Christine Pederson. The CFG logo shining loud and proud on the sponsorship sign!